Buddy & Me: Dream Edition is now available for iOS and Apple TV! The definitive edition of the award-winning endless dream about friendship, Buddy & Me: Dream Edition brings updated graphics, iOS 11 support, and a huge content update to Apple devices. Currently featured on the App Store (“imaginative and adorable“), the Dream Edition expands the family-friendly adventure for a new a generation of devices, including all-new high-resolution Apple TV support. Players can now unlock exclusive character Outfits, Seasons with new landmarks, gameplay Boosts to chase high scores, and behind-the-scenes concept art Galleries. Download the Dream Edition now! The Apple TV and iOS versions are available for a single purchase. Existing Buddy & Me customers get the new Apple TV build for free! 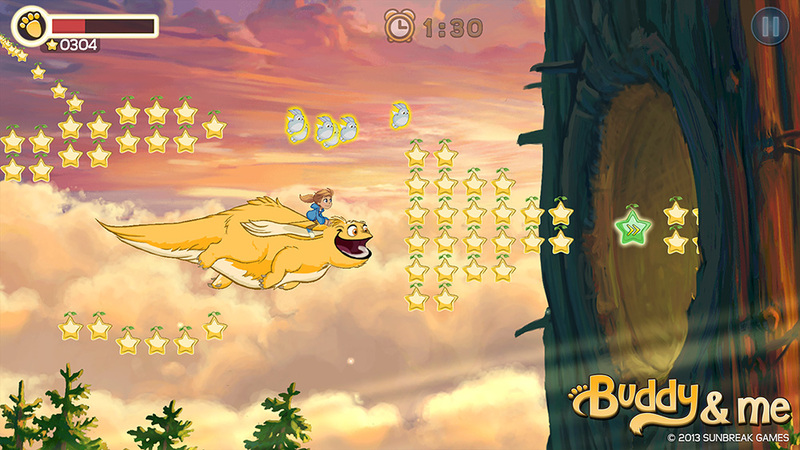 Buddy & Me: Dream Edition for iOS requires iOS v10.0 or higher. Some older devices are not supported. 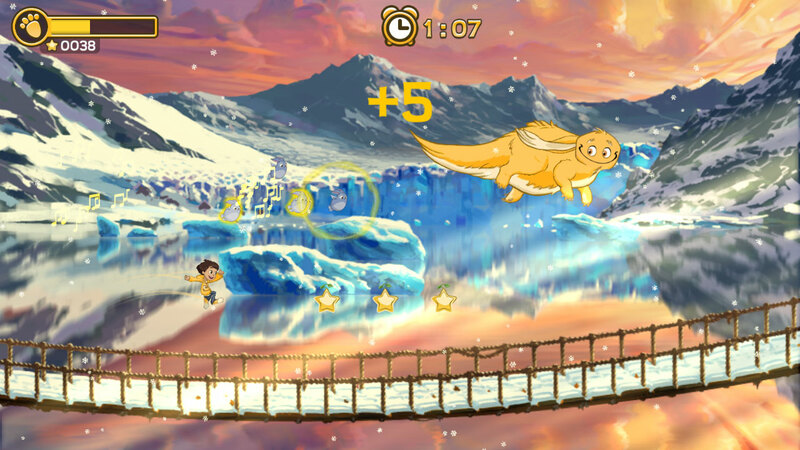 Buddy & Me: Dream Edition is proudly kid-friendly: No violence, no Ads, no In-App Purchases. Sunbreak Games is proud to announce Care for Our World, an interactive children’s book experience now available for iPad! Take an interactive journey around the world, discovering diverse environments and the animals that call them home. Adapted from the award-winning children’s book, Care for Our World delivers a positive, timely message of caring for the natural world we all share. In addition to the animated story, the App contains activities for Coloring, Creating custom habitats, and learning from the included Animal Encyclopedia’s facts, sounds, and photo galleries. Recommended for ages 3-8. Download now on the App Store, or learn more on its product page. Sunbreak Games is proud to share an in-game glimpse at our upcoming interactive children’s book project, Care for Our World, with this new trailer! Production is nearly complete in our animated, narrated adaptation of the award-winning book and playset originally published by Compendium (live-inspired.com). 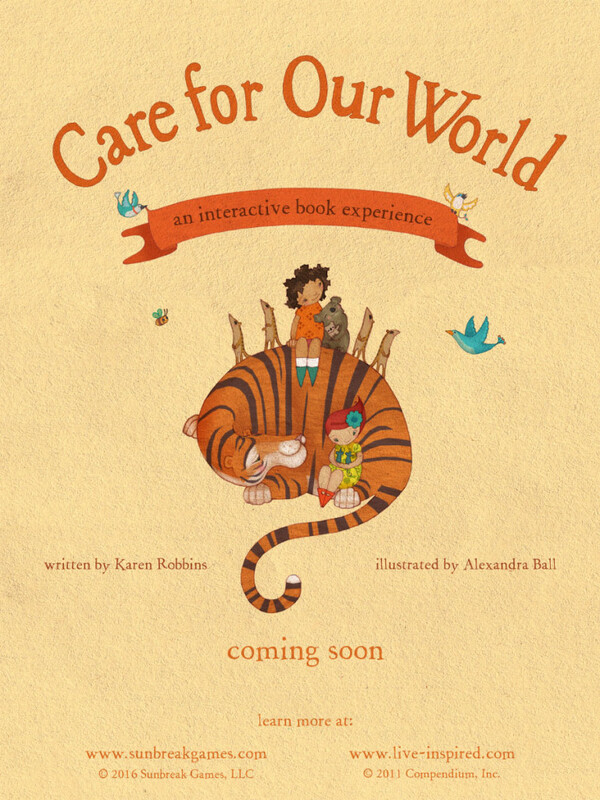 Written by Karen Robbins and illustrated by Alexandra Ball, Care for Our World delivers a positive message for young audiences, a timely reminder of the responsibility every generation shares: to nurture and respect life in all its many forms. Coming soon, exclusively for iPad! Buddy & Me T-Shirts now available in Store! For the first time, Buddy & Me t-shirts are now available for purchase on Amazon.com! By following the links on our new Store page, you’ll be able to easily browse designs, colors, and sizes (Men, Women, and Kids!). 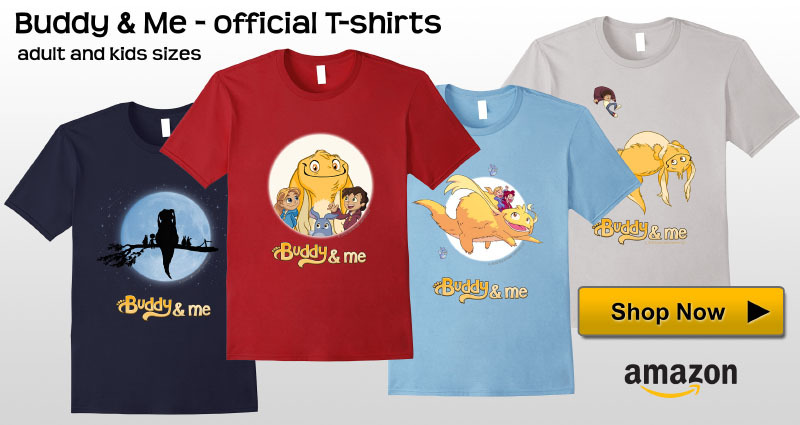 Share & wear your favorite characters from Buddy & Me! Click the above image to shop directly on Amazon.com, or click here for the new Store page. A big thanks to our friends at Merch by Amazon, for making on-demand fan merchandise so easy to create and distribute for small studios like Sunbreak! Buddy & Me available on Humble Mobile Bundle 10! We’re excited to announce that the Android “Humble Edition” of Buddy & Me is now available for download on Humble Mobile Bundle 10, with a share of proceeds going to charities Extra Life (benefiting Children’s Miracle Network) and World Land Trust. As a bonus, the Humble Edition includes a copy of Buddy & Me’s official game soundtrack! One of Sunbreak’s founding Values was to create family-friendly games with positive impact. 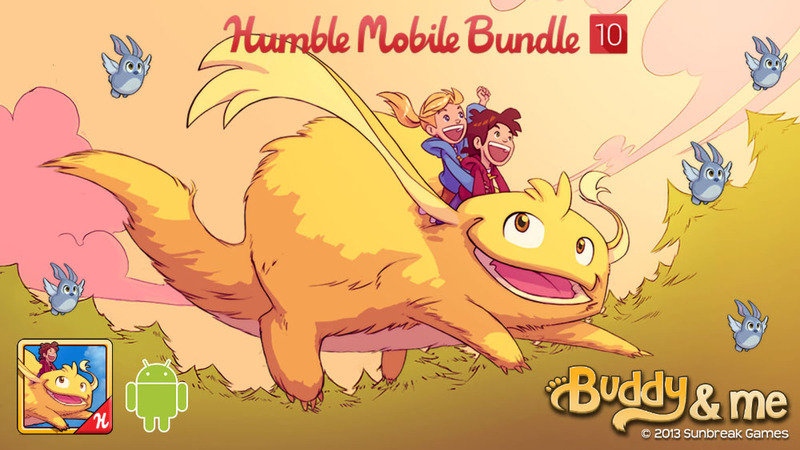 Buddy & Me’s uplifting themes of childhood adventure in nature , combined with the opportunity for charitable support for kids and environment, make us proud to have finally achieved that goal in partnership with the awesome folks at Humble Bundle. If you’re an Android gamer interested in joining us in that effort, please visit Humble Bundle today! New Girl character now available on iOS! Including the Girl character is something important we’ve wanted to do since the beginning, and has become a frequently asked-for addition from players (and parents!) since our initial release. After all, the world of Buddy & Me is meant to represent the enchanted dreams of all our childhoods, boys and girls alike. We hope everyone enjoys our new dreamer, who can be unlocked in the Character section of the “Extras” screen. Thanks for your support! Buddy & Me now available on Amazon Fire TV! This morning Amazon announced their brand-new home gaming & entertainment console, the Amazon Fire TV! Buddy & Me is one of the lucky game titles available to play immediately on launch on your living room HDTV. As a bonus, for those Buddy & Me players that have already downloaded a copy from the Amazon Appstore (for Kindle Fire and other Android devices), that means they already own a copy of the game for Fire TV, waiting for them on the cloud! Sunbreak Games is proud to announce that Buddy & Me for Android is finally available for download on the Google Play Store! The result of a successful Kickstarter in 2013, this award-winning endless adventure about friendship follows the dreams of a young boy, and his magical best friend Buddy. 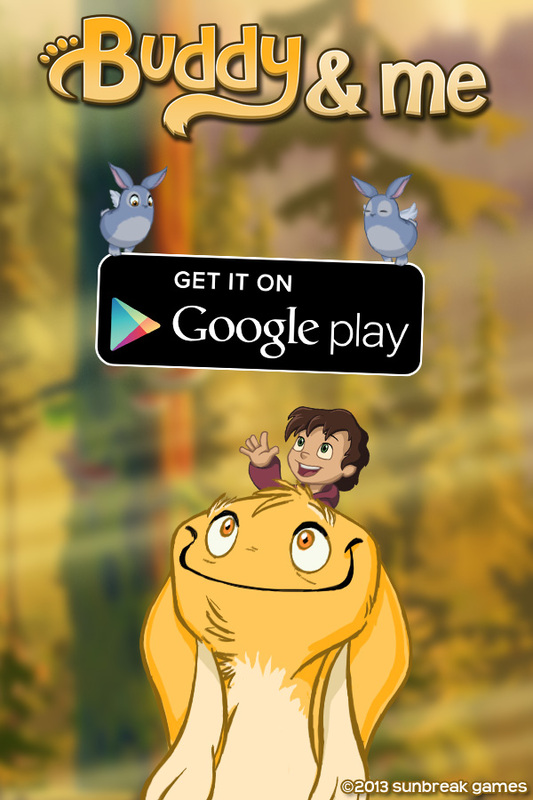 Together they run, jump, glide, bounce, swing, and fly as far as they can before waking… Download it now for iOS, Kindle Fire, or Android devices, and explore the forest of dreams with Buddy for only $0.99 on all platforms! We’re excited to announce that Buddy & Me, the award-winning “endless adventure about friendship”, is coming to the Google Play store on Wednesday, February 5th. Read here for more information about the game.